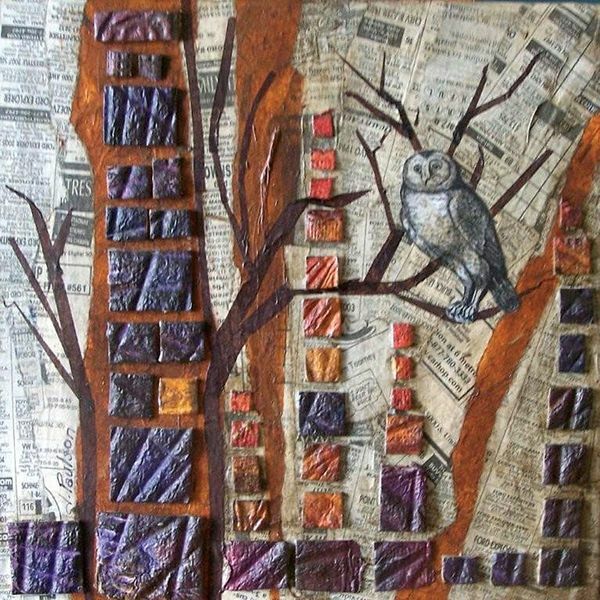 Judy creates watercolor and acrylic paintings, handmade paper, collage, creative felting, and assemblages in her home studio overlooking the peaceful Willow River. Her work is available at Purple Pelican and Northwind Book & Fiber in Spooner; and White Oak Gallery in Alma; and ArtZ Fine Art Gallery in Amery. She teaches classes on pastel and collage. Call for appointment.